Good morning darlings! 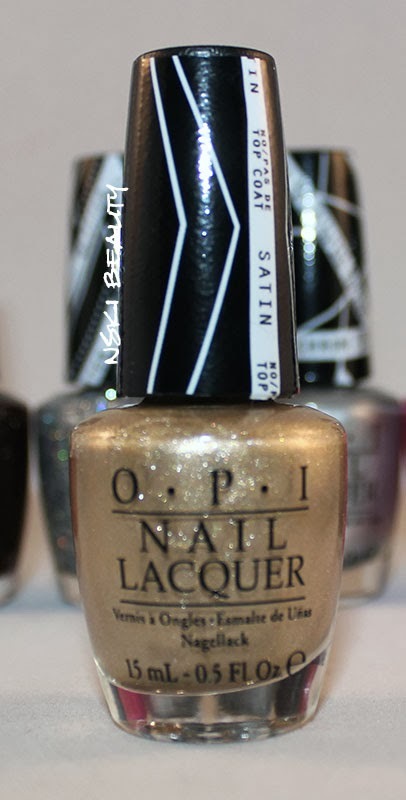 Early on in January I shared OPI's press release for the Gwen Stefani collection [You can read that post HERE] and on Monday I shared a little sneak peak of the collection with the first swatch for Mani Monday. [That post HERE] Well today I'm sharing the WHOLE collection with you! I have to say I am pretty happy with how all the pictures turned out and think they capture the colors in "True to color" form! 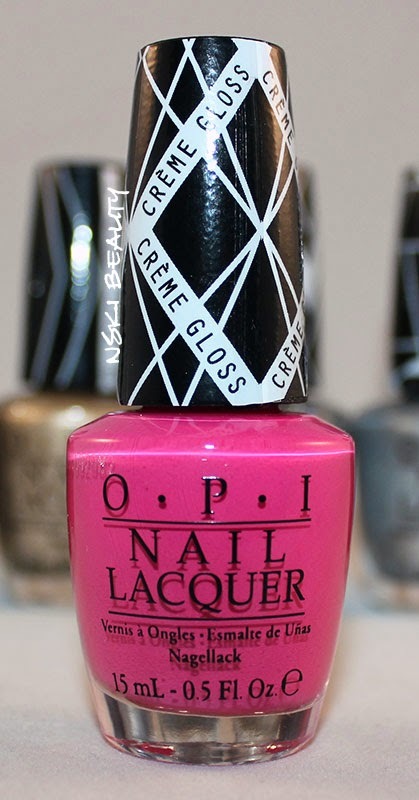 So without further a do lets jump into OPI's Gwen Stefani collection! 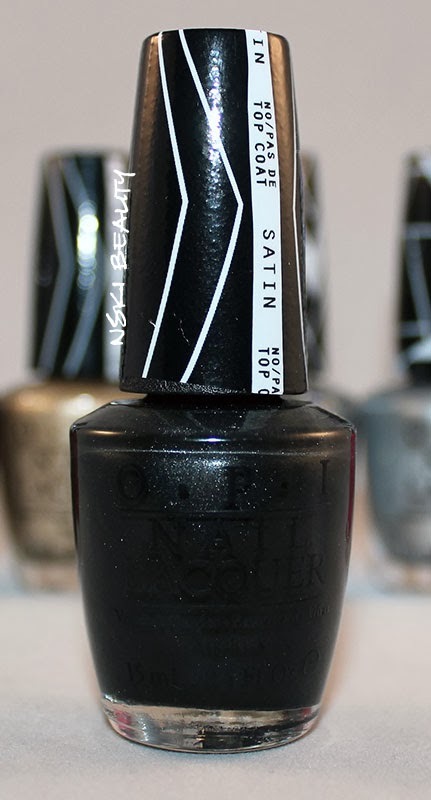 "This dramatic satin black is a hit at after-parties"
I have to admit I really loved this color. 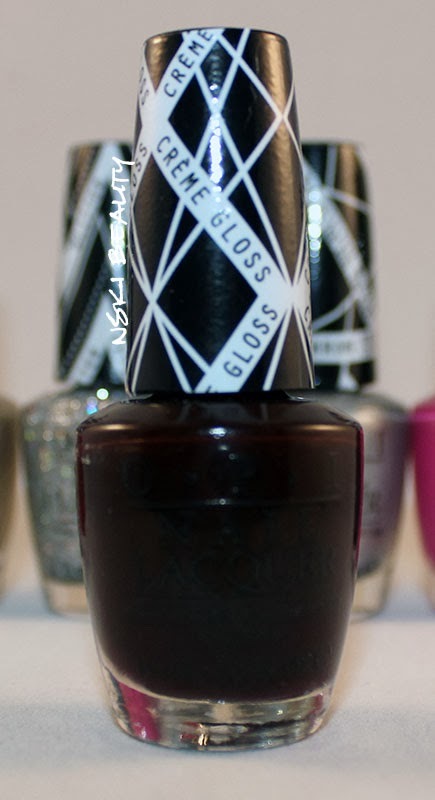 This is a satin, no top coat needed polish that finishes like a dream! The more and more I see satin polishes the more and more I like them. I applied two coats and did not apply a top coat. "When it comes to pinks, you're the "bright" one for me." 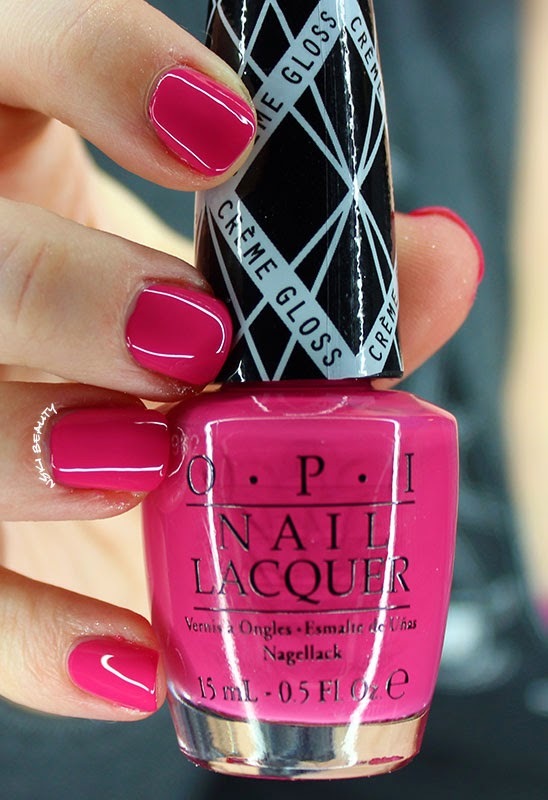 I can definitely see this pink being a spring / summer staple for my nails and especially my toes this year! It's the right amount of bright without taking on the neon color of pink. A creme gloss the applied nicely. I applied two coats and fished off with inm's Out the Door. 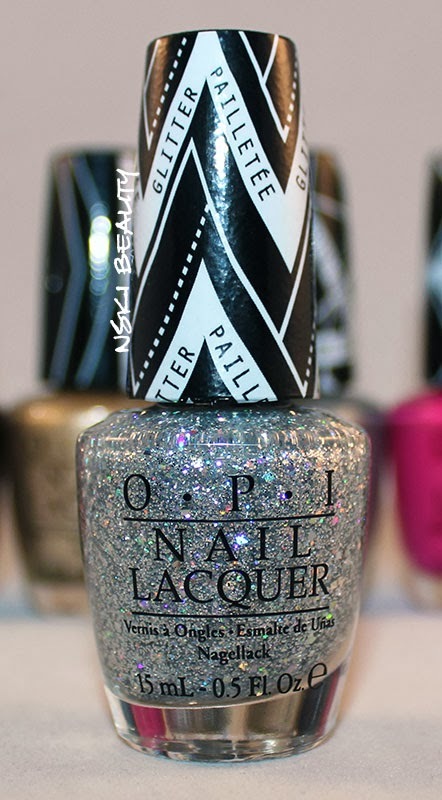 "Don't gotta be a hollaback girl to love this hollagraphic silver glitter." 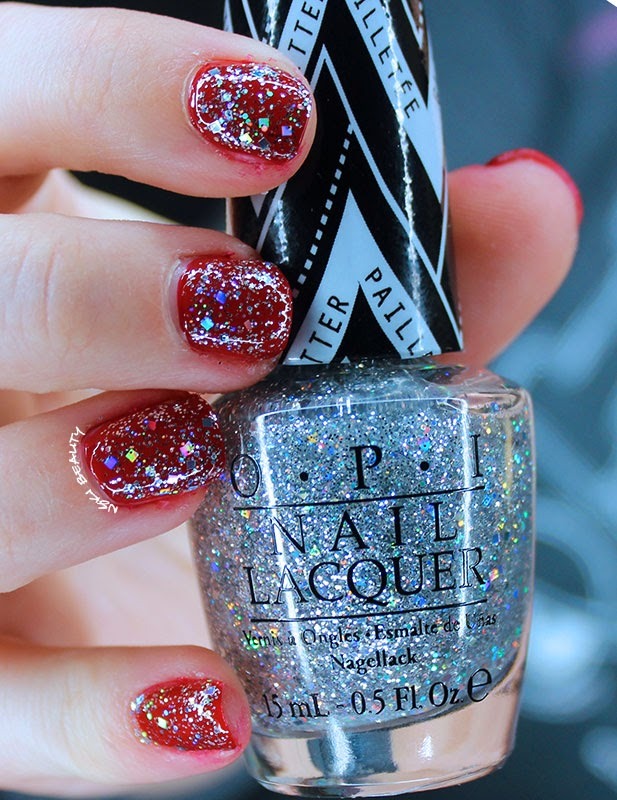 This polish was obviously STUNNING in the bottle but I did find it was a bit hard to apply the glitter cleanly. The polish wasn't goupy per say but it was on the thicker side. I did like that you didn't have to cake the polish on to get a lot of glitter. A simple single coat applied the perfect amount of glitter. 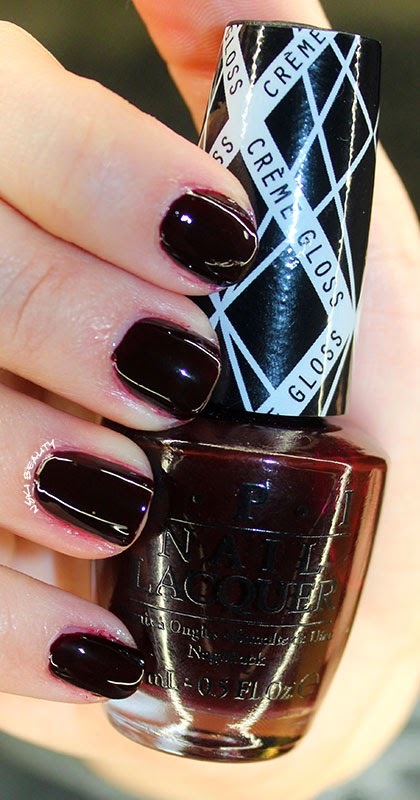 "The deep tones of this luscious blackberry hit all the right notes"
At first when I saw this color I thought it was a dark red but was presently surprised when I realized it was more of a dark purple. Another creme gloss in the collection that is perfect for fall or for a nice "pop" against this dreary winter we are experiencing in Chicago. LOL I applied two coats and finished off with inm's Out the Door. "This matte gold with satin sheen compliments all your passions." Okay, can we just take a second to admire how GORGEOUS this color is?! 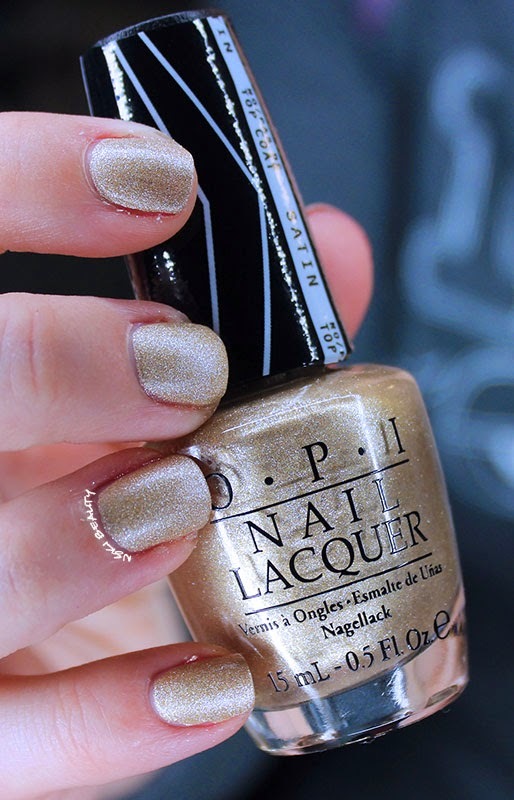 I'm not one for gold polishes normally but this is the perfect color and finish. Another satin that requires no top coat. I applied two coats. "Create your own look with Over & Over A-Gwen - signature shade of Gwen Stefani"
I have to admit I was pretty excited about this red. I am one who seems to gravitate towards any red I see but lets face it when you think Gwen Stefani you think red lip and maybe that bananas song LOL. But this polish was one I had a bit of trouble with. It is pretty thin consistency but very pigmented. 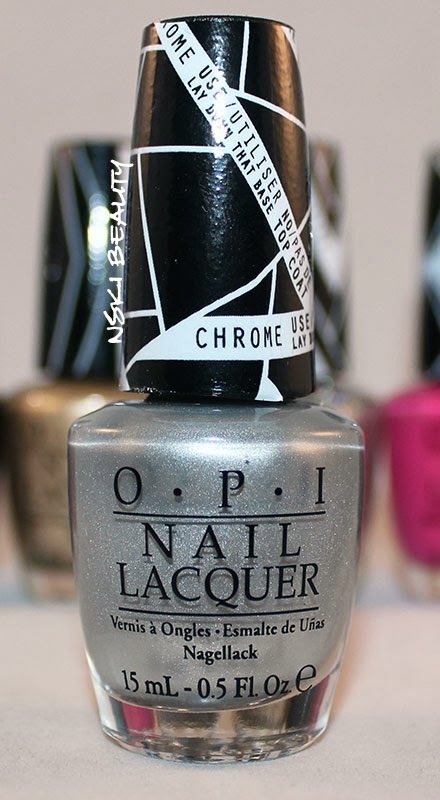 I would stress to take your time when applying this color because it could get messy and when I tried cleaning up around my cuticles it was a bloody mess! However this would be perfect for your summer toe polish or a night out! "Like all limited engagement events, Push and Shove is intended for One Night Only wears." ...I just need a minute...Did you just die and go to nail polish heaven?! 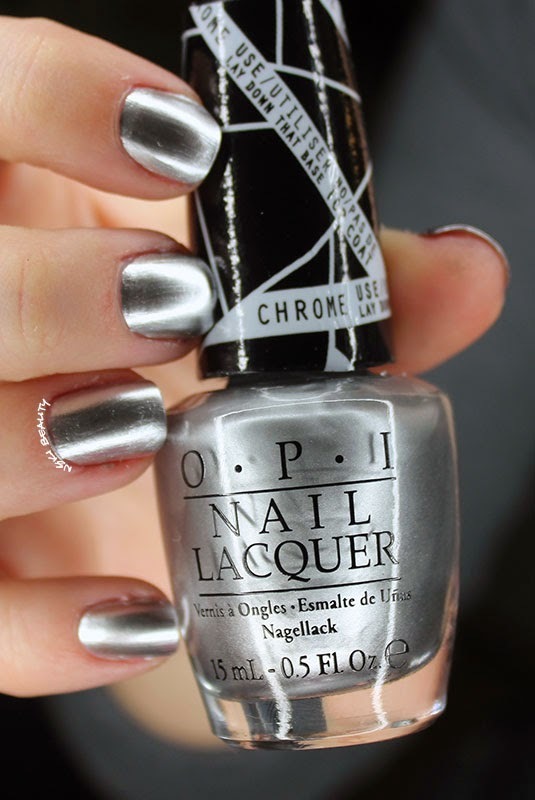 I mean how extraordinary is this polish?! Push and Shove comes with Lay Down that Base. The polish was very easy to work with. Starting you apply a thin coat of Lay Down the Base and follow up with two coats of Push and Shove. When you apply the polish it looks like it will dry streaky but as it dries the color evens out to reveal the coolest polish EVER! The only downside is this polish is not meant for extended wear and you will experience chipping very quickly.